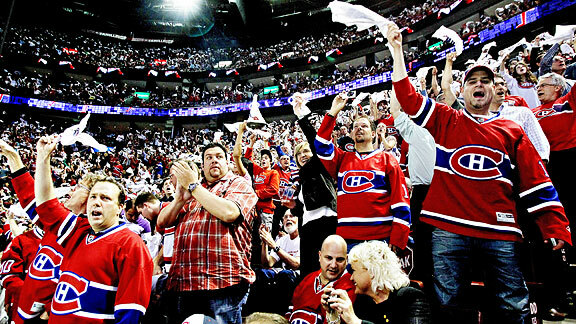 Regardless of the team you root for, NHL fans across North America can rejoice: Hockey is back! In what was perhaps the most unnecessary lockout in the history of organized sports, the NHL and NHL Player’s Association have finally agreed to a new, 10-year CBA allowing for a shortened 2013 season at 48 games, starting Jan. 19. Draft Lottery: The 14 teams that don’t make the NHL playoffs will now be subject to a draft lottery, similarly to the system the NBA employs. Prior, only the NHL’s bottom four teams could receive the no.1 overall pick. The Oilers have had the last three picks (Yakupov, Nugent-Hopkins, and Taylor Hall). Salary Cap: Originally, the NHL owners wanted a salary cap of $60 million, while the NHLPA desired a cap of $65 million for 2013-2014 seasons. The thought was that teams would have more financial flexibility to sign players if the players had their cap in place. For the 2013 season, teams will be allowed to spend up to $70.2 million, with a cap of $64.3 million for the next year. Under the owner’s desired cap of $60 million, teams like Philadelphia and Montreal would only have about $200,000 to spend on players, given the contracts handed out to other players, which brings me to the next point. Contract Length: Players are now subject to a seven-year contract, which increases by one more year if said player is signing with his own team. Max salary variance is 35 percent, and cannot exceed 50 percent in the last year. Last, revenue sharing will increase to $200 million among teams. While the NHL desired to delay free agency until July 10, the players kept their date of July 1. The minimum salary a player can be had for is still $525,000 but by 2022, it will be $750,000. The 2013 NHL season will start on January 19 provided the Board of Governors and Players agree to the deal, which, by all accounts, they should. CBA talk aside, I’m left wondering how fans act now. 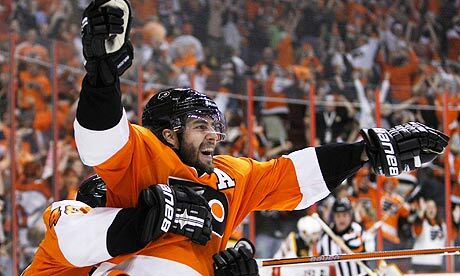 Does the bitterness of another lockout rapidly subside now that we’re about two weeks away from a puck drop? On social media sites like Twitter and Facebook, I saw no anger from fans, with a universal reaction of delight. Regardless, the universal consensus seems to be that the NHL will always be the last of the “Big Four” of sports leagues, and with another season half-lost, this certainly rings true. 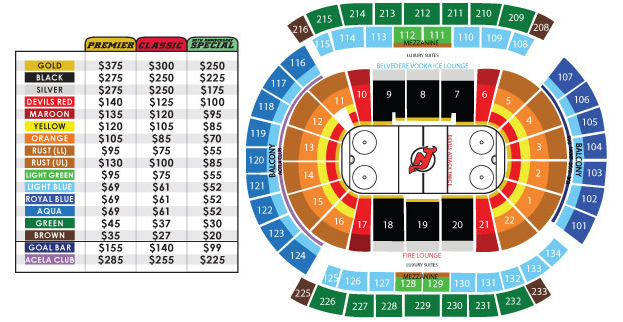 Discounted Tickets: On the right is the New Jersey Devils seating and pricing options for the 202-2013 season. While secondary markets like Stubhub exist and fans can get their cheaper tickets that way (tickets for Winnipeg @ New Jersey start at $36 despite this schedule being the original one prior to the agreement of a new CBA), it would behoove the NHL to act in good faith and drop all these prices across the league by, lets say, anywhere between 10-20 percent. Last, I realize a lot of fans will want to see Gary Bettman resign, but as we saw in the suspension portion of the new CBA, it’s apparent he will not step down, and according to former Boston Bruins coach Don “Grapes” Cherry, of Hockey Night in Canada fame, it was Bettman who agreed to this at the last minute, contrary to reports that Bettman was ready to cancel the season. Also, there is no reason as to why the marathon talks with federal mediator Scot Beckenbaugh could not have happened earlier. This lockout will be remembered for one thing in the history books: satisfying the egos of Bettman and Fehr up until the very end. The puck drops January 19! What began as perhaps the most anticipated—and lucrative–Winter Classic ever is now no more. Earlier today, the NHL made the announcement to cancel the 2013 Winter Classic between the Detroit Red Wings and the Toronto Maple Leafs. Featuring arguably the NHL’s premier franchise in the Red Wings, as well as the first Canadian team to play in a Winter Classic, eagerness ran high since the announcement was made in early 2012. With the NHL lockout claiming more games in November, the canceling of the NHL’s signature cash cow event cannot be undone. It is estimated that the cancellation will result in the loss of $3 million–$3.5 million for some league sponsors, as well as tens of million to the already struggling Detroit area. Those 115,000 expected to attend the event at Michigan Stadium will now have to wait until Jan. 1, 2014 to see the event. They also have the option to refund their tickets. In a market dominated by the Superbowl, and to a lesser extent, the NBA’s Christmas Day games, the Winter Classic offers the common sports fan a day to themselves to appreciate the game, with the league trying to send a message essentially saying “While there’s Major League Baseball, the NFL and NBA, the NHL is here, too.” The first Sunday belongs to the NFL, Christmas to the NBA, and the belief was that Jan. 1 was the NHL’s day. But, no more. For this year at least. With a league that lost a great amount of fans and revenue after the 2004-2005 lockout (Only the Outdoor Life Network was willing to carry the NHL post-lockout), you’d think there’d be some sort of compromise to get this signature events going, but unfortunately, the answer is no. And with new college football playoff formats coming, the hits just keep on coming for the NHL, who seems to be digging their own grave, despite the recent partnership with NBC Sports and the fact that a major market in Los Angeles just won the Stanley Cup, bringing hockey to what is usually a baseball town. The NHL believed that total revenue from the Winter Classic would equate to roughly $70 million. This isn’t including the concurrent—and also cancelled—outdoor event at Detroit’s Comerica Park, which would have started on Dec. 27. Termed the “Hockeytown Winter Festival,” it would have featured an NCAA tournament with Michigan, Michigan State, Western Michigan and Michigan Tech playing against each other, as well as an AHL game between the affiliates of the Red Wings and Maple Leafs, respectively. The very anticipated Alumni game between Detroit and Toronto legends is now lost. These events will still continue, but in the less-appealing Joe Louis Arena, located in Detroit. In a statement by the NHL, it was expected these events would draw over 400,000 people. Another fatality is the third season of the thrilling and captivating HBO reality series “24/7: Road to the Winter Classic.” Giving the fan a look inside the locker room and everyday life of an NHL player, and despite the fact that there could’ve been a rise in ratings due to a large Canadian audience, this unique perspective will also have to wait another year. Also lost are the throwback jerseys and sweaters, the event hats, jackets and special commemorative pins. Paying $3 million to secure the rights to play at Michigan Stadium, the NHL had to forfeit (to them, meager) $100,000 today to the University of Michigan for cancelling the Winter Classic. While Deputy Commissioner of the NHL Bill Daly stated he doesn’t anticipate anymore games being cancelled anytime soon (Technically, games after Nov. 30 are still “on”), the damage is already done to the league’s reputation. 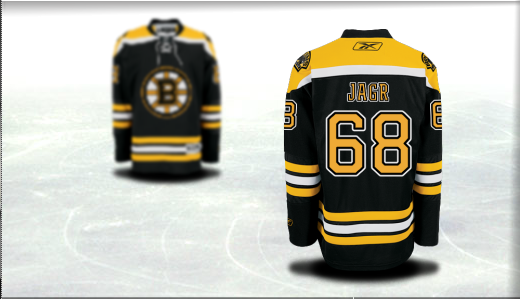 What was a rising league following the last lockout has now become a laughingstock again, with the cancelling of the Winter Classic perhaps the climax of such. A full 82-game NHL season is now out of the question. The NHL announced today it has cancelled the remainder of November’s schedule, which brings the total number of games cancelled to 326. As a result, the league cannot complete a full season with playoffs. The NHL is also planning to withdraw its offer to the NHL Players’ Association, an offer that proposed a 50-50 revenue split between team owners and the players. The league has estimated that players have lost about 27% of this year’s salary because of the 41-day lockout. 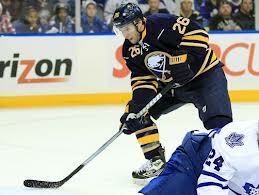 In the meantime, many top players continue to play in leagues in Europe and in the American Hockey League. As of today, the NHL’s Winter Classic, scheduled for January 1st at the University of Michigan between the Detroit Red Wings and the Toronto Maple Leafs, is still on. So too is NHL All-Star Weekend, scheduled for January 26-27 at Nationwide Arena in Columbus, Ohio. Both events could be cancelled this month if no further progress is made. There are no commitments by the two parties to continue formal negotiations at this time.